I really do love to play with food. Puttering in the kitchen is a wonderful form of therapy for me, and it results in a freezer full of home cooking for nights when I’m on the road and Carle has to eat solo—or when my schedule’s too full to make something fresh for dinner. In my kitchen, you may not recognize some of the names on the containers. That’s because I can’t resist a good pun. For instance, chicken cacciatore is labeled “Patriotic Chicken” (Chicken Catch a Tory, for you Revolutionary War buffs). But it also signals my skill with invention. More than once, I’ve had containers labeled beef, chicken or pork “TR.” TR, in this case, stands for Teddy Roosevelt and his famous quote, “Do what you can, with what you have, where you are.” These labels recognize that what’s inside is more than likely a one-time recipe because I had to substitute, combine ideas, or otherwise make do with what we had in the pantry and refrigerator. And when I serve up a batch of TR, I’ve never yet had Carle do anything but smile blissfully and ask for seconds. Let’s compare my TR adventures with the experience of someone who thinks that a recipe has to be followed precisely. 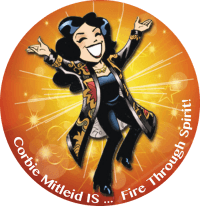 For this person, it may induce stress (What if I get it wrong? What if people say they don’t like it because it doesn’t taste like it’s supposed to?). The uncompromising recipe follower may also make extra trips to the grocery store if they’re missing an ingredient—sticking so stringently to the rules that cooking becomes less about creativity and more of a chore. Now, expand that idea. 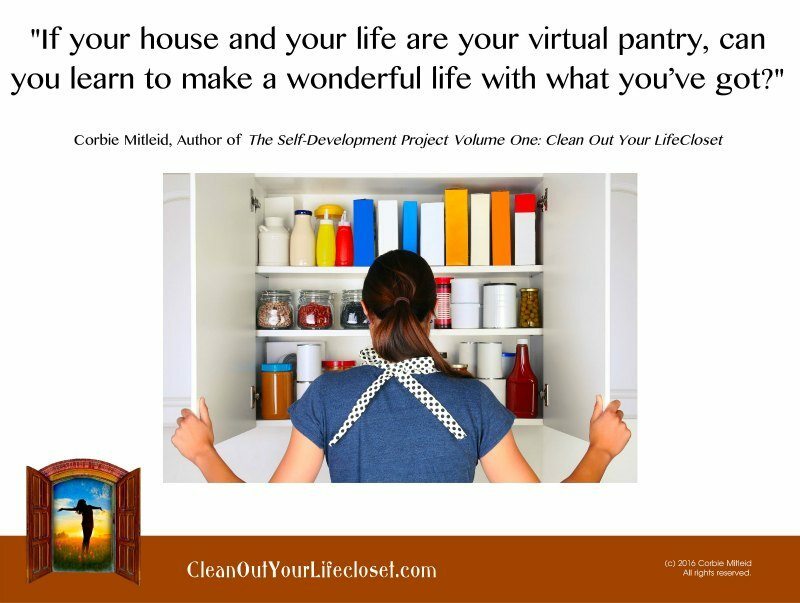 If your house and your life are your virtual pantry, can you learn to make a wonderful life with what you’ve got? Or are you going to fret constantly that you don’t have what everyone else deems the right ingredients to be happy, successful, or all that? When we are too busy looking at what we don’t have—what we think we need for everything to be okay—we’re not living in the moment. We’re looking to the future where all those goodies might be hiding. When we think about “not having” (whether it’s what we are missing right now, what we never had before, or what we might not have in the future) we’re stuck in a place we can never change. No matter how you look at it, “not having” equals bad with that kind of mindset. Try this: go list everything in your virtual pantry right now. Not necessarily things, but all the intangibles: Friends. Experiences. Talents. Learning opportunities. Challenges. Gifts from Spirit. Ideas. Creativity. And spend a little time today thinking of a great new recipe to share with the world based on what is in that Intangible Pantry. The best part? Because you and that mix of intangibles are a unique combination, your recipe for the world will be one-of-a-kind.